We learned several behind-the-scenes secrets that make us more eager to see season three and more impressed with everyone involved in the show. As Cox shared, he originally didn’t know that Matt Murdock was blind and auditioned for the role as a man who had full use of his eyes. Even with that mistake, though, he was impressive enough for the Powers That Be to bring him back, though they did tell his agent to let him know that Murdock can’t see. Cox reminded us that playing the characters doesn’t make the actors more or less invested in, or opinionated about, the characters – and they feel similarly to how we do as onlookers… Even Foggy wants Foggy to back off of Matt a bit! Another interesting tidbit shared about his costars: all of, as they call themselves, “the Scooby Gang’s” potentials – all of the Karens, Matts, and Foggys (Foggies?) were required to screen-test with each other first to test chemistry, but, strangely, the Final Three never actually tested together. Cox tells us what he’s looking forward to in the upcoming Defenders as well as what he’d like to see in more of in his own series… Check out that and the rest of his interesting anecdotes and character insight in the full panel below! 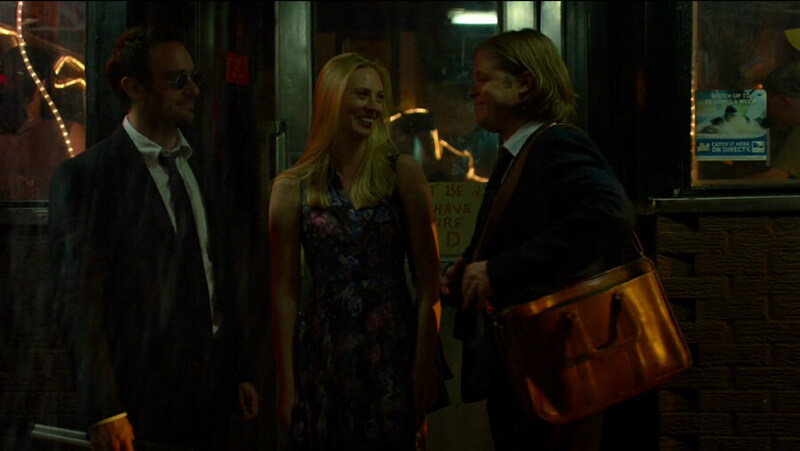 What do YOU want to see more of in Daredevil Season Three?